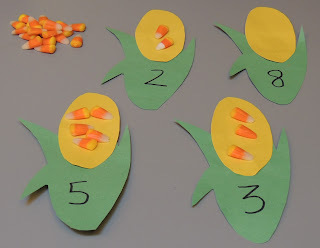 Make corn using yellow and green construction paper. Add numbers to the bottom of the corn. 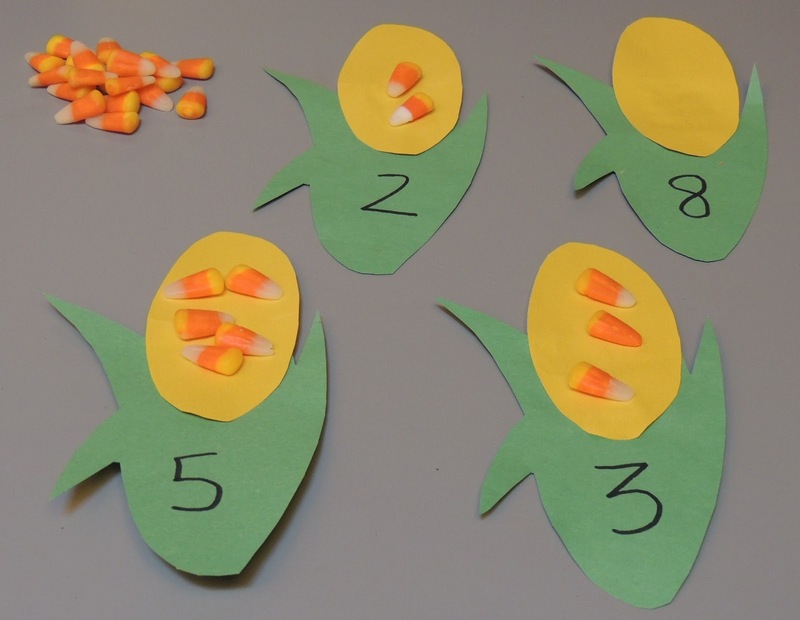 Have children put the correct number of candy corn on the corn.